Online Craft Classes - Many Free! Class Starts: Next Class To Be Announced. FREE Mini Classes and FREE Projects! 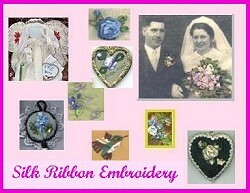 By Crafters From Around The World! Cost: Free Click HERE to enter classroom! Cost: Free Mini-Class Click HERE to enter classroom! Self-Paced MINI-Class - Start Anytime! Bluebonnet Crafters and Crafty College. Click HERE to enter classroom! © 1997-2015, Internet Visions Co. All rights reserved.